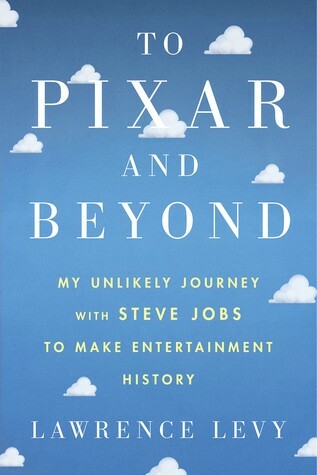 To Pixar and Beyond: My Unlikely Journey With Steve Jobs to Make Entertainment History is written by Lawrence Levy. He is a lawyer turned executive who was Pixar’s CFO and guided its strategy to transform it into a multi-billion dollar entertainment studio. He was also a close associate of Steve Jobs. This is the story of the intersection of Pixar and the lives of Steve Jobs and Lawrence Levy. Lawrence Levy lays out the choices and risks that the team at Pixar took which made it into what we know today. He shows us the conflict between creativity and business realities and how Pixar struggled to keep the creative impulse first. The book is also a story of the journey that Lawrence makes as an individual. And, no story with Steve Jobs in it, cannot help spending a lot of time on him and his genius. ‘To Pixar and Beyond’ has four sections. The first section covers Lawrence Levy joining Pixar and his struggle to define a business model to save it. The second section deals primarily with the IPO and the release of their first movie ‘Toy Story’. The third section covers the growing pains of Pixar. The sale of Pixar to Disney, Steve Job’s death and Lawrence Levy’s journey of self-discovery is covered in the last section. “To Pixar and Beyond” is, of course, an homage to Buzz Lightyear’s catchphrase — “To Infinity and Beyond”. The book is an equally loving homage to Pixar. Lawrence Levy has given us a fantastic look into the history and inner working of Pixar. All the problems, risks, conflicts, aspirations and fears of Pixar and its employees are captured in detail. We have all heard of John Lassiter, Pete Doctor etc. or at least seen their names at the end of Pixar movies starting from Toy Story to Inside Out. This book helps us understand some of the people behind the names. More importantly, Lawrence ends up making us care about them. Steve Jobs has been the subject of many books and at least, a couple of movies. Most of them have focused on him as a product maker. This book shows us a side to him which has not been given as much attention — his talent in identifying talent and his behaviour when he has to rely on others’ creativity to make successful movies. My favourite parts of the book are when Lawrence tries to explain what makes Pixar unique. His understanding that Pixar would be successful only if its culture and values remain undiluted is brilliant. He is even able to convince Steve Jobs and Disney that it is in their best interest not to interfere with Pixar’s values. The last section of the book was dissonant. I didn’t want to hear philosophy; I wanted to know about Pixar after Disney took it over. Did its values remain the same? Did it influence Disney in a positive way? Instead, Lawrence Levy’s exposition on his spiritual journey lost me in the first page itself. I had read another book about Steve Jobs twenty years back. This was John Sculley’s Odyssey; Pepsi to Apple. I found that book to be self-serving, and it did not resonate with me. On the other hand, ‘To Pixar and Beyond’ engrossed me from start to finish. It was fun reading about Steve Jobs and his obsessions but also his growth as a person to recognize when to let go and trust others. Pixar fans and others will find it interesting to read all the work and creativity that went into the movies. We will be able to appreciate the unique mix of the start-up culture of the Bay Area mixed with Hollywood entertainment along with their tensions.